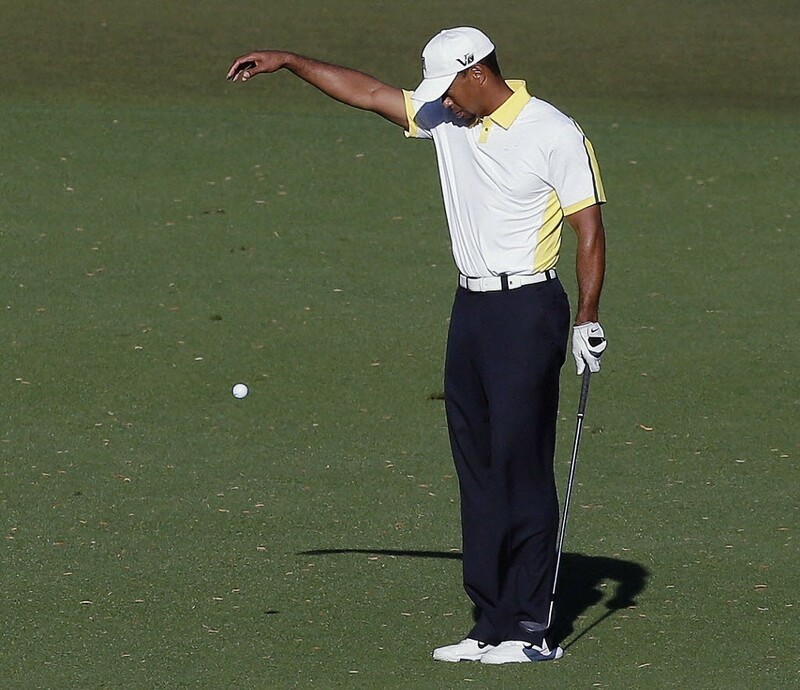 A crime in action: Tiger Woods drops his ball illegally on the 15th hole at Augusta National. Augusta National was beautiful as ever last weekend. But why gaze at a lush, rolling, azalea-lined golf course when you can have your nose in a rulebook? And you might also enjoy the site's Rule Of The Day feature, which includes an explanatory Q&A. Monday's Rule Of The Day was 18-2a/26: Ball Dislodged from Tree When Player Climbs Tree to Play Stroke. Q: As a player is climbing a tree to play a ball lodged in the tree, the ball falls to the ground. Does the player incur a penalty? A: Yes, one stroke under Rule 18-2a, and the ball must be replaced. "The ball must be replaced" apparently means you re-climb the tree, settle the ball back into the forked limb, and try again. But you need to do so quickly in order to continue playing without undue delay. The investigation into Tiger's illegal ball drop was launched after the crime was noticed by a TV viewer who then texted a Masters official. 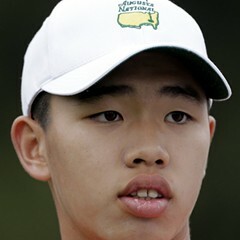 The Rules of Golf apparently do not include a No-Snitch Rule. 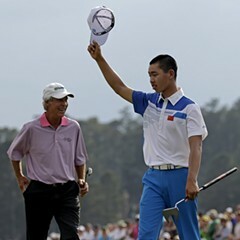 Much outrage was voiced when Guan was penalized for his slow play, but of course the sticklers also piped in. "The commitment to playing by the rules isn’t just part of golf, it is essential to it," John Cassidy observed piously on the New Yorker blog. Is he kidding? For most golfers, cheating isn't only allowed, it's in the marrow of the game. Between the do-over mulligans off the tee, the foot mashies in the rough, the selective amnesia in the bunkers, and the gimme putts, the typical golfer slashes more strokes off his score than he ever would by squandering money on lessons and hours on the range. Adam Dunn is batting cleanup, and .120, for the Sox. The White Sox hit the road last week, and that's about all they were able to hit. Some averages through the team's first 14 games: Jeff Keppinger, .196; Dyan Viciedo, .190; Tyler Flowers, .162; Adam Dunn, .120. Manager Robin Ventura has Dunn batting cleanup, which is by-the-book managing, if the book is Ripley's Believe It or Not. Even more troubling than the hitting has been the inability to draw a walk. The Sox have only 23 bases on balls so far, last in the majors. Dunn and Paul Konerko did manage to walk to start the ninth inning in a tie game in Toronto last night. This ignited a two-run rally that also featured a key double by Viciedo. It lifted the team to a 4-3 victory over the Blue Jays, the second win out of eight games on the trip. After two more in Toronto, the Sox return to the Cell on Friday. 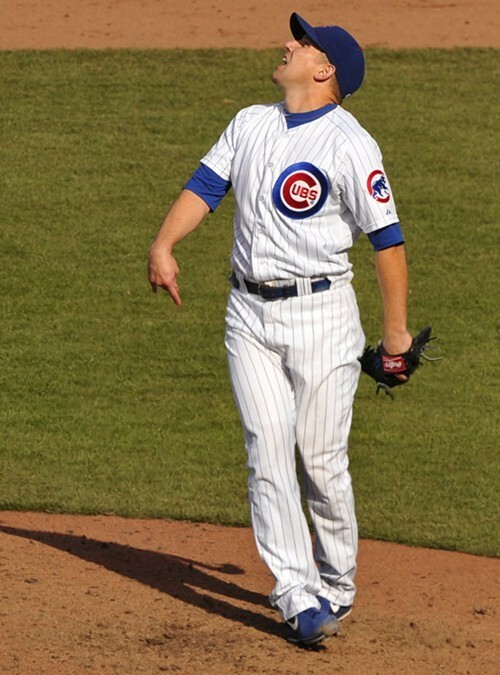 Cubs reliever Shawn Camp watches Hunter Pence's two-out homer tie the game in the ninth Sunday. The Cubs have dropped five of seven on their current homestand, but on the plus side, one game was postponed. The team's bullpen adventures continue. Carlos Marmol was demoted from closer after the season's first week; on Friday, his replacement, Kyuji Fujikawa, blew a save and was put on the disabled list with a muscle sprain in his forearm. Rather than reinstate Marmol as closer, manager Dale Sveum has opted for the closer-by-committee approach. He now is choosing between the Senate Committee on Erratic Armed Services, the House Committee on Few Ways and Even Fewer Means, and the Select Arthritic Joint Committee on Run Reduction. At Wrigley Field Sunday, Sveum gaveled his committee into session to consider a proposed 7-6 victory over the Giants. But Shawn Camp surrendered a two-out ninth-inning homer and three runs in the 10th, and by the time fellow committeeman Rafael Dolis finally adjourned the meeting, the proposed 7-6 win had been amended into a 10-7 loss. Camp did his part again last night, surrendering a two-run eighth-inning homer that proved to be the difference in a 4-2 loss at Wrigley. The team is now 4-9 and in the basement in the Central. The Cubs have been lobbying for a Jumbotron, but if the video scoreboard is going to show the team's stats or game replays, a Microtron might serve the club better.